Brooklyn’s M.S. 267/La Cima Charter School /Bedford Stuyvesant Collegiate Charter School playground was renovated through The Trust for Public Land’s participatory design process with students to include a turf field, running track, basketball hoops, outdoor classroom, learning garden with raised beds, trees, benches, game tables, and green roof gazebo. 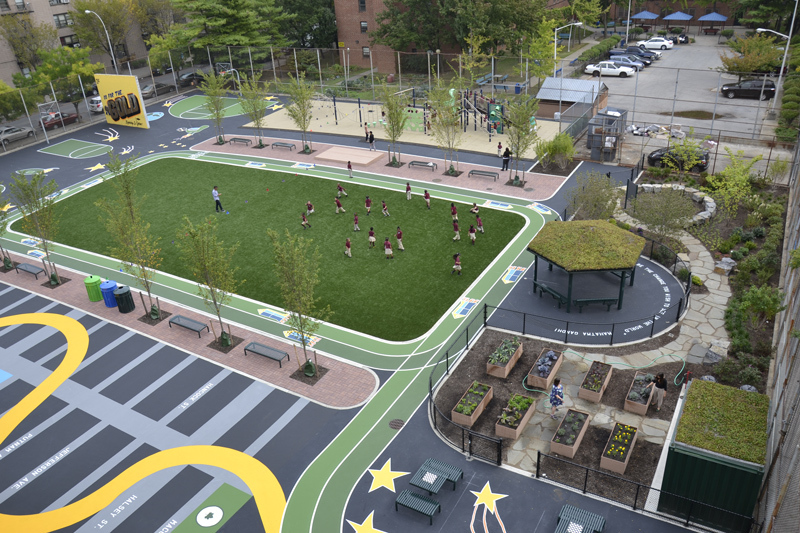 This playground captures over 1 million gallons of stormwater every year and is open to the public.